The seated leg curl is a useful machine to specifically target your hamstring muscles by pushing backwards with your legs towards you glutes and coming slowly all the way up. 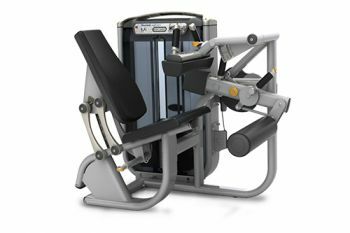 With a weight stack of 200 lb (91 kg), this seated leg curl has a standard range-of-motion adjuster and back and tibia pads that are easily accessible from a seated position. The adjustable thigh pad provides stabilisation during exercise.